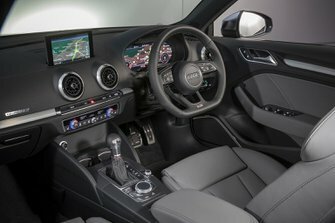 Used Audi S3 Review - 2013-present Servicing, MPG, Insurance | What Car? What used Audi S3 hatchback will I get for my budget? You’ll need around £15,000 to get behind the wheel of an early, say 2013, S3, this for a car with an average mileage for the year and a full service history, but bought privately or from a trader. Spend between £16,000 and £18,000 to get a 2014 or even a 2015 car, again with an average mileage and full history. Up this to between £19,000 and £21,000 to get a 2015 car from a franchised dealer, and budget £22,000 to £25,000 to get a 2016 with all the bells and whistles from a franchised dealer. How much does it cost to run a Audi S3 hatchback? The official fuel consumption figure for the S3 is 40.4mpg, which isn’t bad for a heavy-ish four-wheel-drive car of such speed, even if you’re unlikely to achieve that on the public roads. The corresponding CO2 emissions of 162g/km are not bad either, so meaning that for those cars registered before the tax changes of April 2017 came into force will pay an annual flat rate fee while those registered after will pay the current flat rate of £140 a year. Beware if the cost of any extras boosted your S3 over the magic £40k mark when it was new, though, because then it would have to pay a supplementary luxury car tax currently £310 a year. 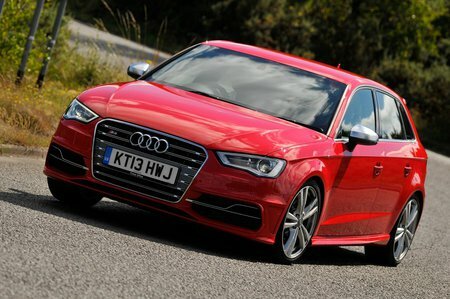 Insurance costs should be high but not excessively so, as most S3s sit in group 39. Servicing is due every two years or 19,000 miles, with Audi main dealers offering a comprehensive service plan for cars three years old and older. This provides an interim service and a main service. From new, many A3s were covered by an Audi Service Plan that could be used to cover the cost of routine servicing for up to five years or 50,000 miles.